This post was sponsored by Piada Italian Street Food, who provided me with a complimentary meal. 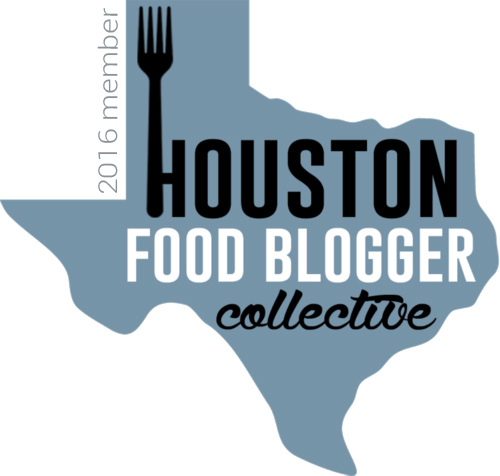 I was not monetarily compensated for writing this Houston restaurant post. All opinions are completely, 100% my own! So what exactly is a "piada" you ask? Excellent question, my cherubs. But we'll get to that in a minute. 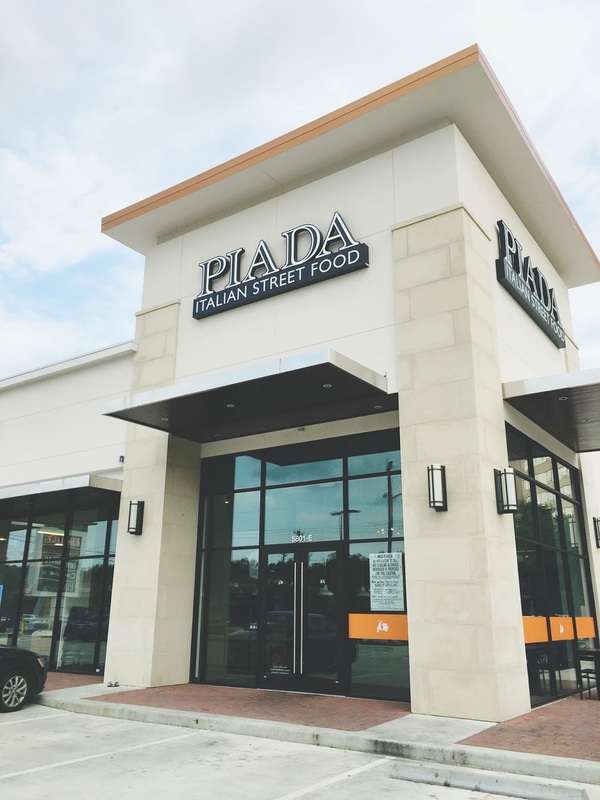 The kind folks at Piada Italian Street Food invited my friend Kate and I to try their delicious food last week at their restaurant location near Houston's Memorial Park. 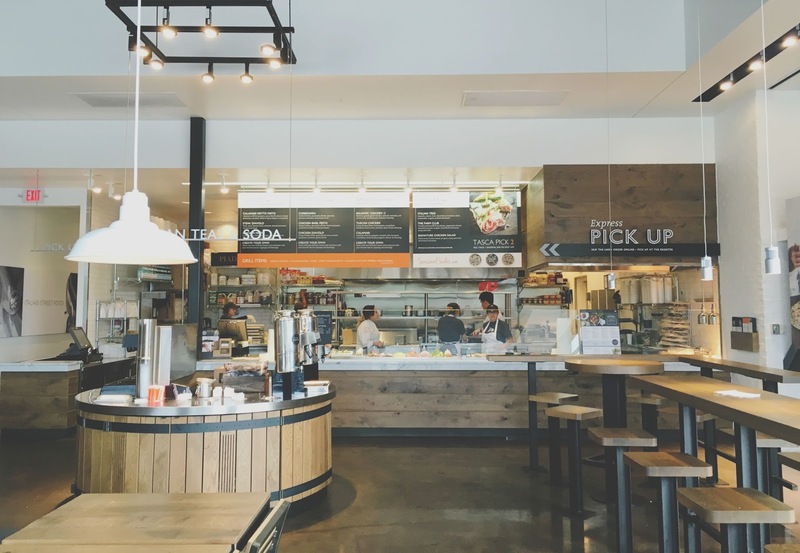 Piada is a chain restaurant with a simple, yet unique, approach to fast food. 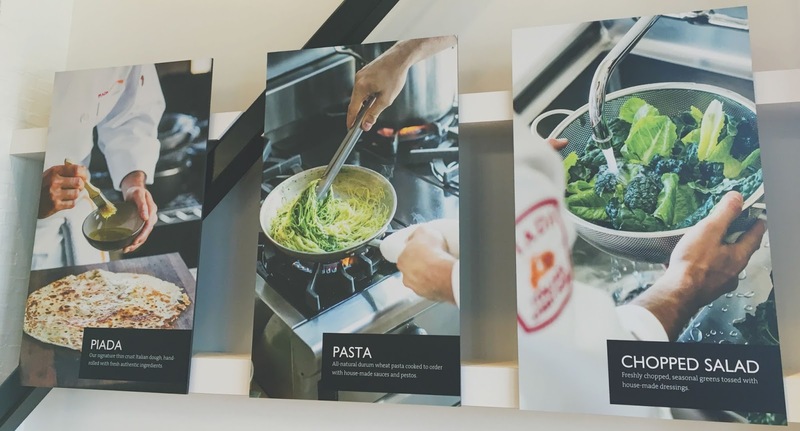 They emphasize fresh, quality, healthy ingredients, with a focus on three main categories: pasta bowls, chopped salads, and - you guessed it - piadas. So what IS a piada, Kim? All in due time, my loves. While we were there for an early dinner, the large, sleek restaurant definitely caters to a busy Houston work day lunch crowd. The friendly staff encouraged Kate and I to sample their new seasonal farmer's market salad, so for our first round of food, we ordered a large one to share. The salad generally comes with chicken, but we ordered ours without. And let me assure you, we didn't miss it! The salad was bursting with a kaleidoscope of colorful ingredients, from grilled sweet corn, to ripe strawberries, to vibrant avocado, to tart feta, to spiced pecans. 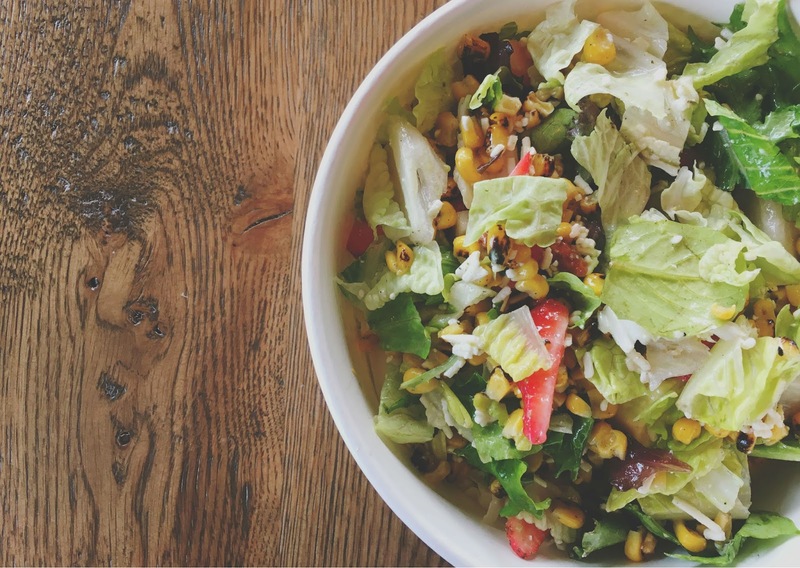 All of these bits and pieces were tossed with mixed greens in a house-made lemon basil dressing. I normally prefer my salads to be on the savory side, so since this one included strawberries I didn't think I'd be blown away by it. But in actuality, I thought it was lovely! The grilled corn added a nice smokiness, the avocado muted some of the sweetness, and the feta/strawberry combo was the perfect marriage of flavors. This was a fantastic salad! Next up, we ordered the piada garlic dough. So Kim, that looks like a crepe. 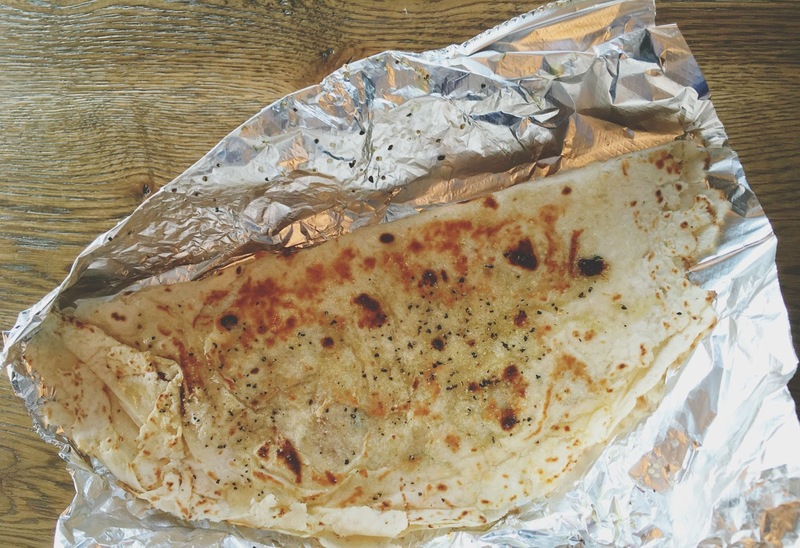 IS A PIADA AN ITALIAN CREPE? 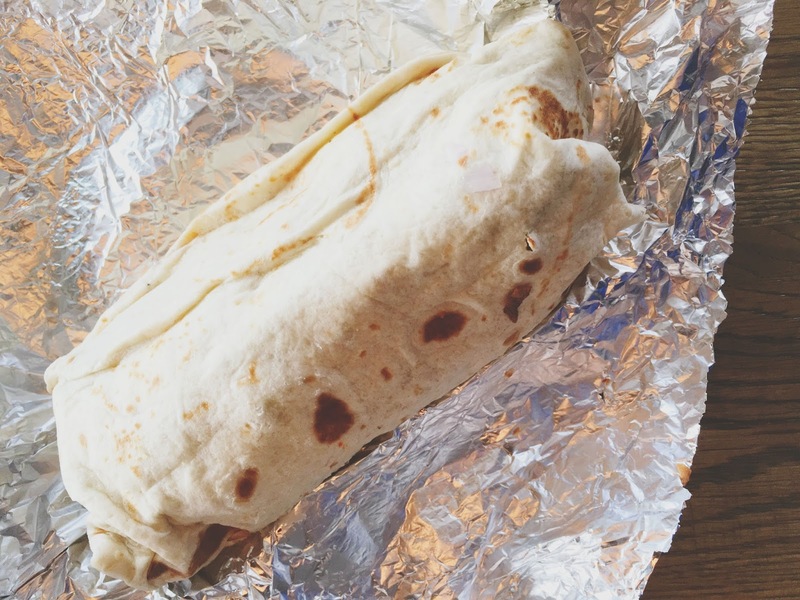 So a piada is basically a wrap that's baked on a stone grill. The piada garlic dough pictured above is one of the restaurant's sides that we enjoyed as an appetizer. And it was SO GOOD. After the dough was made, it was baked with mozzarella cheese and brushed with olive oil. While it's certainly not a crazy intricate process, and it doesn't look like there's a whole lot going on from my picture, believe me, THERE WAS. The piada garlic dough was incredibly doughy, wonderfully seasoned, garlicky, and fragrant. The gooey mozzerella gave it another devilish, yummy layer. Ripping it apart with our fingers was a fun process, and we couldn't get enough! Because they can also be Italian burritos! (I wish I could take credit for that term, but Kate is the real genius who coined it). 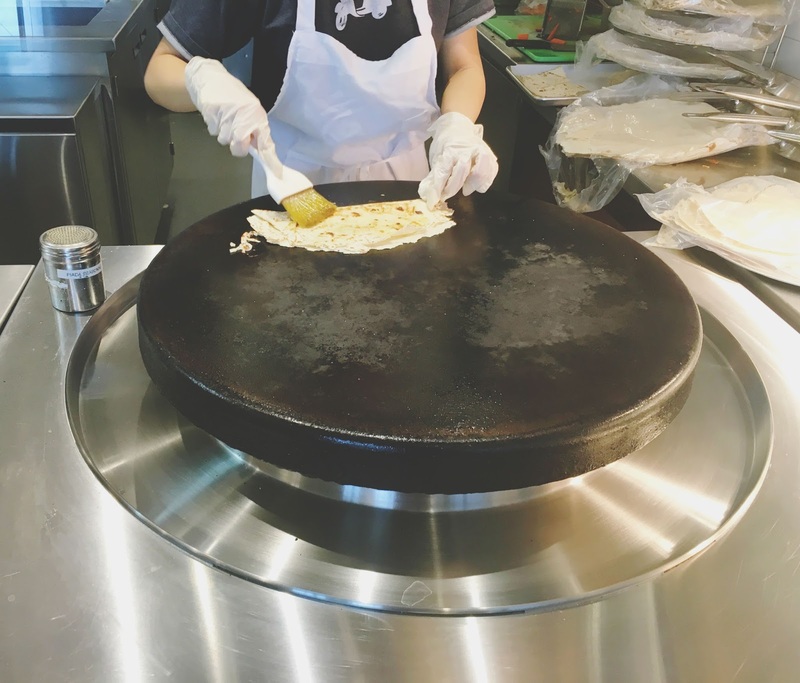 The restaurant has signature piadas you can order (the same goes for their salads and pasta bowls), or you can completely customize your own. I ordered mine with roasted zucchini and mushrooms, red onions, sundried tomatoes, spinach, cucumbers, crispy onions, and red pepper pesto. The velvety flavors of the fresh ingredients all wove together wonderfully. Each bite was an exciting new discovery of wonderfully seasoned and thoughtful flavors. The piada itself was incredibly light, but it somehow managed to not get soggy. Let me tell y'all, this was one heck of an Italian burrito! I ate the whole dang thing, and didn't I feel overly full [aka waves of regret] like I do when housing an entire Chipotle burrito! 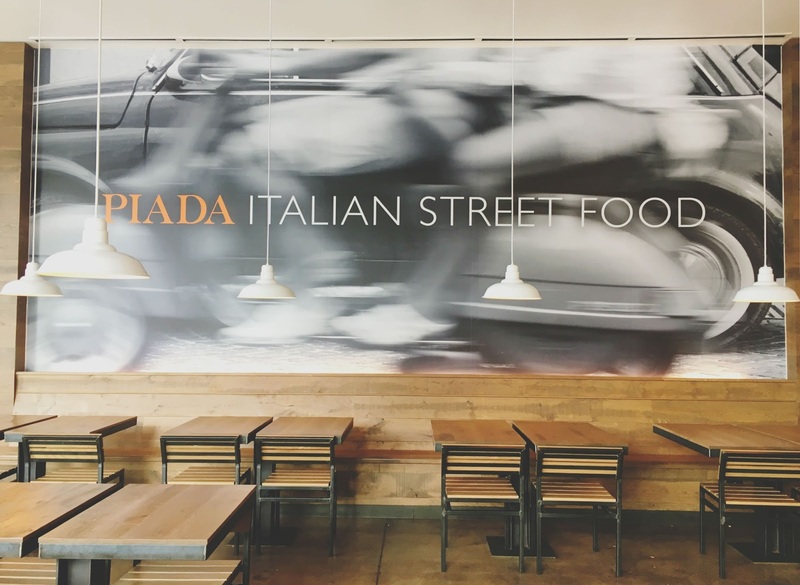 Piada Italian Street Food has a few different Houston locations, and if you haven't been yet, I definitely recommend going. 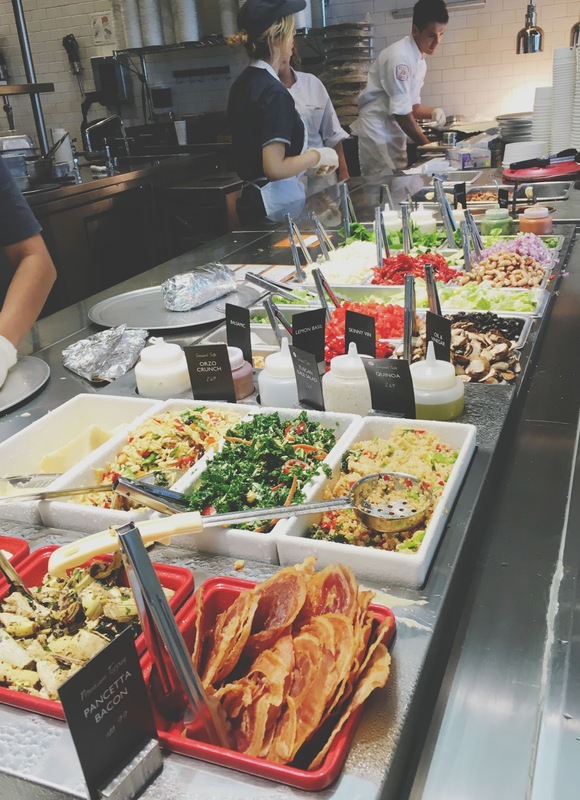 The counter service restaurant takes fast casual to a whole new level with it's fresh ingredients and unique concoctions. The food itself baffles me because it manages to be light and satiating (and insanely delicious) all at the same time! If you're looking for a quick, light lunch in Houston - or even if you're looking for a healthy dinner to enjoy with a friend! - Piada is just the spot for that! 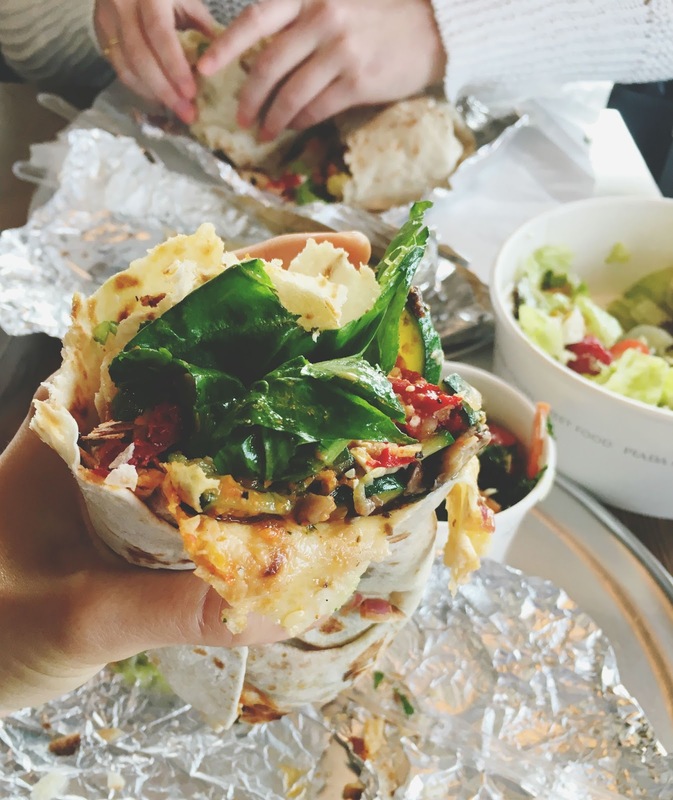 Piada, you're the Italian burrito of my eye. I love Piada! I basically live at the one in Sugar Land. So glad it's getting it's praises. Gotta give credit where credit is due, right? :) I'm glad to hear you love it too! Harold's Tap Room + A Giveaway!